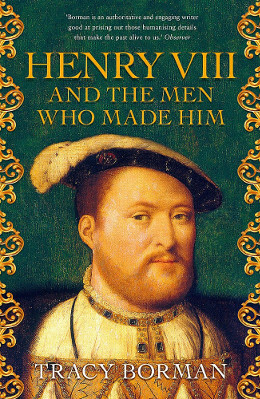 When we see Henry through the men in his life, a new perspective on this famous king emerges. Henry’s relationships with the men who surrounded him reveal much about his beliefs, behaviour and character. They show him to be capable of fierce, but seldom abiding loyalty; of raising men only to destroy them later. He loved to be attended and entertained by boisterous young men who shared his passion for sport, but at other times he was more diverted by men of intellect, culture and wit. Often trusting and easily led by his male attendants and advisers during the early years of his reign, he matured into a profoundly suspicious and paranoid king whose favour could be suddenly withdrawn, as many of his later servants found to their cost. His cruelty and ruthlessness would become ever more apparent as his reign progressed, but the tenderness that he displayed towards those he trusted proves that he was never the one-dimensional monster that he is often portrayed as.